6 inch roll of tulle in your choice of color. You can usually find these in the wedding section at any craft store in 25 yard increments for around $5 per roll or you can buy larger rolls online for cheaper. For my skirt, I ended up using 28 yards total (14 per layer). I could have easily added another layer for more volume too. Most craft stores have an app where you can use a 40% off coupon each visit so be sure to take advantage of that. Material for the underlayer. I used cotton remnants from a previous project to make a 14" x 45" rectangle to fit me. For reference, my waist is roughly 28 inches. Elastic for the waistband. I used 3/4" non-roll elastic. Step 1: To start off, you'll want to cut the tulle into long strips. I decided to do 3 tiers for my skirt in lengths of 2, 4, and 8 yards. I ended up doing 2 layers so I had 2 sets of each length. Step 2: For matching purposes, you'll want to mark each strip in fourths. Starting at the bottom and working your way up, you'll gather each strip and pin it to the tier above it making sure to match the markings to make sure the gathering is even. Step 3: Repeat previous step for any extra layers. Step 4: Sew all layers together at the top tier. Sew the short ends together as well and set aside. Step 5: Take your underlayer rectangle and sew the short ends together to form a tube. I used a French seam to prevent fraying here, (Great tutorial HERE) but pinking shears would work too. Step 6: Hem the bottom of the skirt. Either double fold the hem to prevent fraying or use pinking shears. Step 7: Make the casing for the waistband at the top of the underlayer. (Good tutorial HERE although I always leave the extra material out of it since it isn't necessary.) Remember to leave a 2" section opening for the elastic. Step 8: Before inserting elastic, pin the top of the tulle tiers to just under the waistband and sew together. Step 9: Insert elastic, sew the elastic together, and top stitch the opening closed. 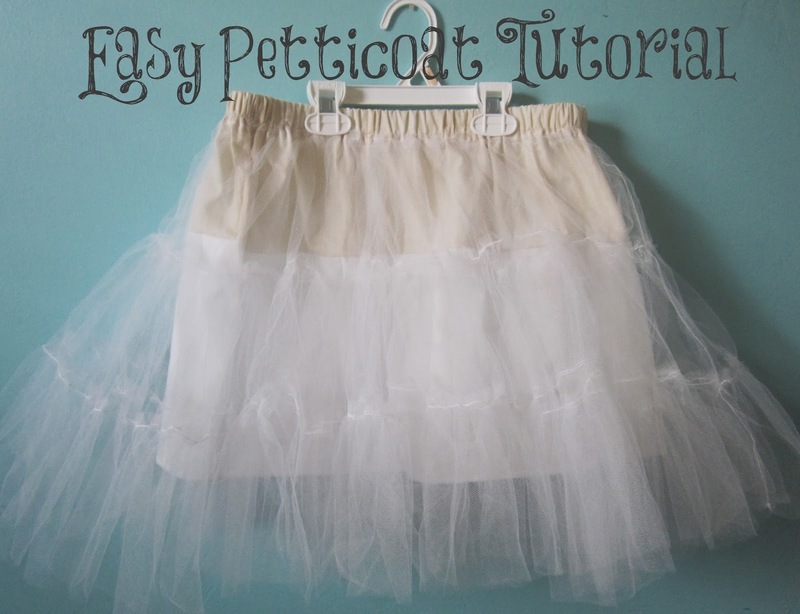 When you're done, you should have a perfectly poofy petti to wear under your skirts or dresses. If I were to purchase all the material to make this skirt instead of using what I had on hand, it would easily be under $10 total. 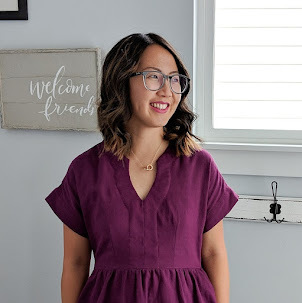 If you're shopping remnants and using coupons, this makes it a super cheap option compared to most pettiskirts and petticoats on the market. Have you made your own? Let me know how it went and if you have any tips in the comments.